Almost at the end of the registration period and following a portentous countdown on the organization website, the new Evil Geniuses roster has been finally revealed. The long time captain Peter “PPD” Dager has transitioned out of the team into a business management position with the brand while Andreas Franck “Cr1t-” Nielsen will assume his position as captain and drafter. Artour “Arteezy” Babaev returns for the third time to the organization. Saahil “UNiVeRsE” Arora, Syed Sumail “SumaiL” Hassan and Ludwig “zai” Wåhlberg will remain in the lineup for the Fall Major 2016 season. Accompanied with much ado, the long awaited and much anticipated Evil Geniuses roster has been revealed. 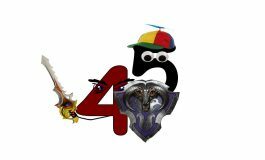 The first order of business was to establish that famed captain Peter “PPD” Dager has transitioned out of the lineup and accepted a position within the organization doing business management. 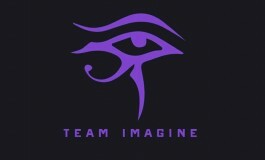 PPD is highly praised for his genius level drafts and ability to adapt to any opponents. He has led his team to three 3rd place finishes at The Internationals and multiple premier and major championship titles. Andreas Franck “Cr1t-” Nielsen will be stepping into the rather large shoes left open with PPD’s departure. Hailing from one of the most successful teams of the 2015 -2016 year, OG – Cr1t- was part of history as the only team to claim two Valve sponsored championship titles – Frankfurt Major and Manila Major. For the third time, Artour “Arteezy” Babaev will don the blue jersey for the organization. The famed Canadian player has had an on and off again relationship between Team Secret and Evil Geniuses since 2014. Saahil “UNiVeRsE” Arora, Syed Sumail “SumaiL” Hassan and Ludwig “zai” Wåhlberg will remain with the team. SAN FRANCISCO, Calif. — September 15, 2016 — Evil Geniuses (EG), a world-leading pro gaming team, is excited to announce a new generation of the brand’s Dota 2 team, featuring Andreas Franck ‘Cr1t-‘ Nielsen, Syed ‘Suma1l’ Hassan, Saahil ‘UNiVeRsE’ Arora, Ludwig ‘zai’ Wåhlberg. Rounding out the team will be Artour ‘Arteezy’ Babaev who will be making his return for a second time following two successful stints with EG previously. Two-time Dota 2 Major winner, Cr1t-, will be taking over the reins as captain of this new roster and fulfilling the support role. The Dane brings a wealth of experience competing at the highest level as a captain in addition to being a breakout success during OG’s streak of championship wins this past year. Having just been named coach yesterday, it will be Clinton ‘Fear’ Loomis’ duty to closely monitor and mold this group into a world power, capable of representing EG well on the global esports stage. With his knowledge and work ethic, the sky’s the limit to where Fear can help bring this team who are already no stranger to standing atop a podium. Longtime team captain Peter “PPD” Dager has also decided to transition out of his role as an active pro player on the Dota 2 team and into a new business management position for the Evil Geniuses brand. Details on his new position will be announced in the weeks ahead. All of the players had previously left the Evil Geniuses roster during the ‘drop’ phase of the Fall Major 2016 registration period. Ludwig “zai” Wåhlberg was released from EG’s roster, hours after Clinton “Fear” Loomis was let go from the team, on August 27th. Syed Sumail “SumaiL” Hassan left Evil Geniuses on August 29th marking the third desertion in EG’s lineup, before Saahil “UNiVeRsE” Arora and captain Peter “ppd” Dager took their leave before the end of the drop period on September 4th. All of the roster changes appeared on the Dota 2 Majors registration database but had never been followed up by any official clarification. Yesterday, it was officially announced that after nearly five years with Evil Geniuses, the North American legend would be retiring from competitive play and assuming the role as the team’s coach. In January 2015 Team Secret changed their roster, plucking both Ludwig “zai” Wåhlberg and Artour “Arteezy” Babaev from Evil Geniuses. The ripple effect was tremendous. They had set off a large scale Western reshuffle and spurred heavy judgment from the community. It was just another demonstration of the unconventional modus operandi – the sap that seems to give Team Secret their nearly axiomatic vigor. Following The International 5 – Team Secret’s roster was completely revamped in August, and rebuilt around Clement “Puppey” Ivanov – with zai returning to school and taking a break from competitive gaming and Arteezy moving to Evil Geniuses. 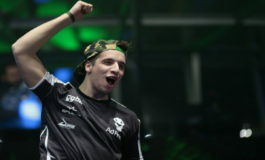 The Spring Major season brought about more changes for both teams – creating upheaval across the board as Artour “Arteezy” Babaev and Saahil “UNiVeRsE” Arora had parted ways with The International 5 champions, Evil Geniuses, in order to assume positions in Team Secret. The arrangement set in motion unfortunate events as Omar “w33” Aliwi and Rasmus “MiSeRy” Filipsen were released by Team Secret only four days before the rosters become locked for the Manila Major and The International 6 despite winning the Shanghai Major less than three weeks prior. It was only months later that Team Secret set off yet another unexpected shuffle, right in the middle of the Manila Major, when Secret’s Team Director, Kemal Sadikoglu, took to Twitter to announce Saahil “UNiVeRsE” Arora’s departure to EG. In a timeless loop of exchanges, Kurtis “Aui_2000” Ling registered as Team Secret’s substitute, having been let go from EG after being replaced with Ludwig “zai” Wåhlberg – who had been welcomed after a year off to complete his high-school education mid season. 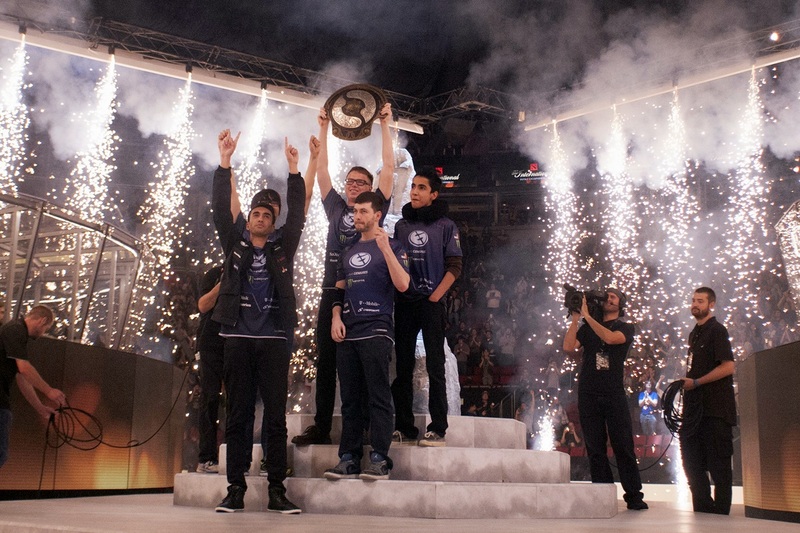 In August 2015, Evil Geniuses claimed the coveted TI5 Aegis of Champions and $6.6 million in prize money, thus becoming the first American team to win The International. In a shocking move almost immediately following their historic TI5 championship win, Evil Geniuses removed Kurtis “Aui_2000” Ling from the lineup. 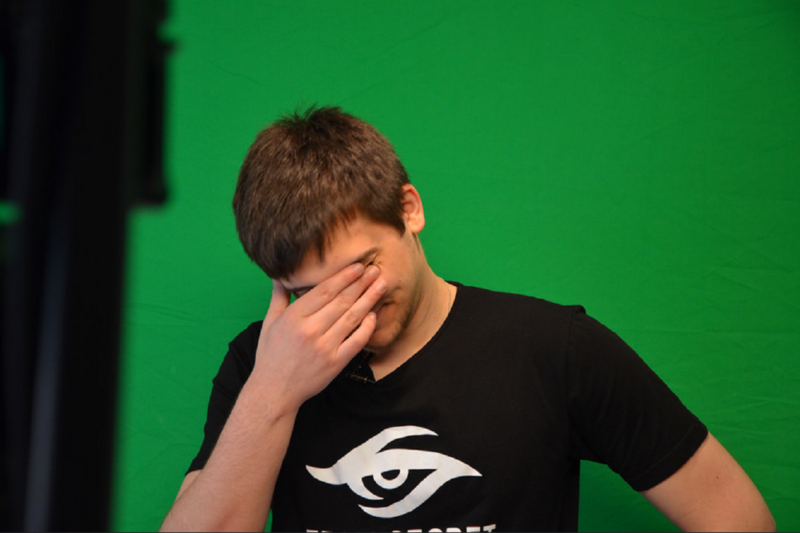 Welcoming back Artour “Arteezy” Babaev, they then shifted Clinton “Fear” Loomis to the support role. Despite the fact that they started off the fall season on the wrong foot, being eliminated in the very first round of the ESL One New York, they went on to take second place at the MLG World Finals and third at the Frankfurt Major and Shanghai Major. The results were just not good enough, or perhaps the grass was greener on the Team Secret side of the fence. Both Saahil “UNiVeRsE” Arora and Artour “Arteezy” Babaev left the team before the rosters became locked for the next Valve-sponsored event, the Manila Major. After UNiVeRsE and Arteezy’s unanticipated departure to Team Secret towards the last days of the team registration period, the future of Evil Geniuses seemed uncertain. 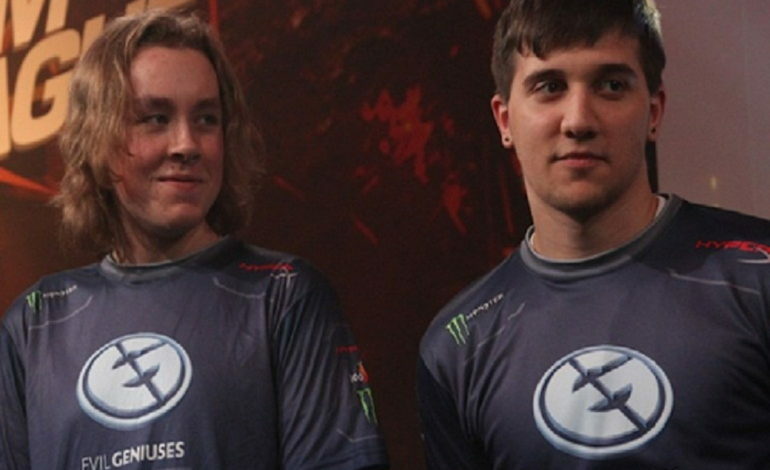 EG welcomed back both Kurtis “Aui_2000” Ling and Sam “BuLba” Sosale to the organization, on March 26th. The new roster had a shaky start but overall commendable performances in the next three months. Unfortunately, it wasn’t enough to secure them a decent place at the Manila Major, where they fell into the 13th-16th ranks. Roster changes would strike again. They put any animosity behind them and brought UNiVeRsE back in. Switching out Kurtis “Aui_2000” Ling once more and welcoming back Ludwig “zai” Wåhlberg after a year off to complete his high-school education, the team was starting to look like a well-oiled machine again. However, they had forfeited their direct invite for The International following their roster changes – an unprecedented move for a TI title-holder to be taking the open qualifier road. EG had to come back to Seattle the hard way, through the Open Qualifiers and then the Regional ones. They shined throughout the tournament – both during the Group Stages and the Main Event – and even looked stronger than at The International 5, at times. Evil Geniuses were close to getting their names written on the Aegis of Champions for the second time. Not close enough, though: they fell to Digital Chaos in the Lower Bracket Finals and placed third overall.